Check In Hostel v Berlín, Německo: Zarezervujte nyní! Cancellations/changes 45 days before arrival are free of charge. Cancellations/changes within these 45 days will be charged with 100% of the entire stay. In addition, a down payment of 30% is required to confirm the booking. 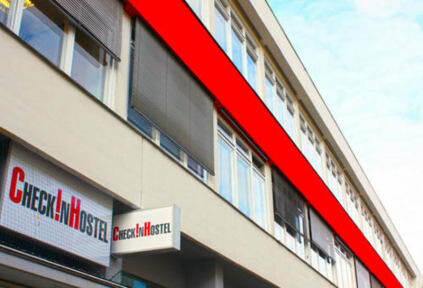 The CHECK IN HOSTEL Berlin is located in a historical part of Berlin and offers you comfortable rooms for low prices. You will be impressed by our clear and simple design, we offer superior comfort and convenience in a pleasent atmosphere. The CHECK IN HOSTEL Berlin is centrally located, which allows you to reach the most exciting places quickly and very easily. If you have questions don't hesitate to get in touch with our 24-hour reception service. Our staff looks forward to offer you a pleasant stay in our hostel and guide you through an unforgettable time in one of the largest cities. From our centrally located hostel, you can reach in a few minutes Checkpoint Charlie and the Jewish Museum. Also, the Potsdamer Platz, the Brandenburg Gate and the shopping district on Friedrichstrasse is reachable within walking distance. 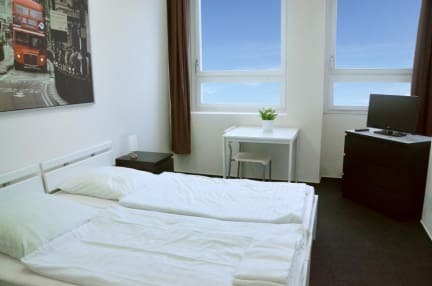 At least here you will notice that the CHECK IN HOSTEL is located very centrally - in other words, the CHECK IN HOSTEL is located in the heart of Berlin! After completing your reservation we can guarantee you, that you will have a pleasent stay with us. We offer to our customers according to their wishes or their group size different room types: Double rooms, 4-Bed mixed dorms, 6-Bed mixed dorms, 8-Bed mixed dorms and 10-Bed mixed dorms. The rooms are large and spacious. In addition, the beds are already covered for you with fresh and clean linens at no extra cost. What we offer as well? Wireless Internet Access! WiFi - FOR FREE! Besides, we provide a kitchen and a common room for communal use to our guests. If you are planning to come back later you don't need to worry because the hostel is open 24 hours and grants entry any time. I liked the hostel a lot. The staff at the reception was friendly and really nice. It is in a great location, all important places are in walkable distance and just 30 minutes from the airport. The only thing I didn't like was a cleanliness of common areas, kitchen and especially bathrooms and toilets. They should take care about it more, definitely. But anyway I would stay again for sure. Thanks lot.